Megan earned degrees in International Studies and Arabic from The Ohio State University. 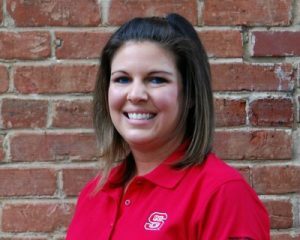 She was recognized as South Edgecombe Middle School Teacher of the Year in 2013. She participated in Teach for America and completed Math Design Collaborative training. Megan taught eighth grade math and Math 1 at Nash Central Middle School in Nashville. She completed the NELA Principal Residency at Englewood Elementary School. During the 2018 to 2019 school year, Megan is serving as Assistant principal at Southern Nash High School. Kenya earned undergraduate degrees in Elementary Education and Interdisciplinary Studies from Norfolk State University in Norfolk, Virginia. 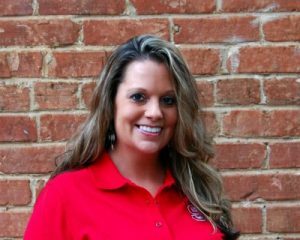 She was recognized as Teacher of the Year and has participated in Teacher Leader training and Innovator Technology training. 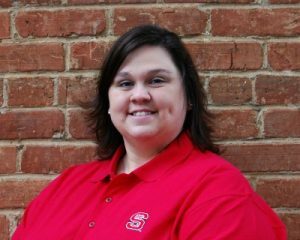 She was involved in the implementation of the Impact Model School in Nash-Rocky Mount Public Schools that integrated technology via Activboards, teacher laptops, and other devices. Kenya taught fifth grade ELA and social studies at Benvenue Elementary School in Rocky Mount. She was at Southern Nash High School for her Principal Residency. Kenya is currently serving as founding first grade teacher and Assistant Principal-in-Training at KIPP Primary School in Halifax. Michael earned a Bachelor of Music degree in music education from SUNY Fredonia and a Master of Music degree in music education from Kent State. He participated in PBIS, Restorative Justice, VIF Global Education Professional Development, 21st Century Instruction Technology, and Arts Integration trainings. Michael lives by Yo-Yo Ma’s quote “Passion is one great force that unleashes creativity, because if you’re passionate about something, then you’re more willing to take risk.” Michael taught K-8 general music and was the chorus and band director at Martin Millennium Academy in Tarboro. Additionally, he served as grade chair, PBI Co-facilitator, and SIT team member. He was also the Lead Band Director for the district. He completed his Principal Residency at West Edgecombe Middle School. Mike is currently serving as Assistant Principal at G.R. Whitfield Elementary School. Beau earned an undergraduate degree in Exercise Science from Chowan College and a Masters of Science degree in Kinesiology from Georgia Southern University. 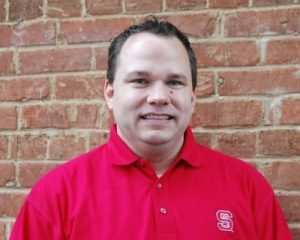 He was recognized by Who’s Who Among America’s Teachers and was voted best teacher by his student body. He received the NCISAA All Star Football Coach award, the NCHSAA State Champion Football Coach award and the Chowan University Distinguished Alumni Award. Beau taught physical education at Royal Elementary School in Louisburg. Beau was named Assistant Principal at SouthWest Edgecombe High School while he was completing his Principal Residency. 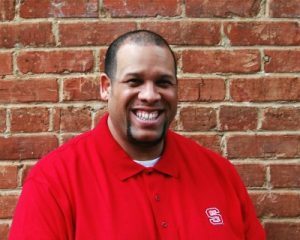 Now, Beau is serving as an Assistant Principal at Heritage High School in Wake County. Chad earned an undergraduate degree in United States History with a minor in Psychology from Indiana University, a Master of Teaching from Earlham College, and a Master of Science in Education from Kaplan University. He was recognized as Teacher of the Year in 2009. He participated in the Literacy Design Collaborative through the Southern Regional Educational Board and has completed Kagen Professional Development. 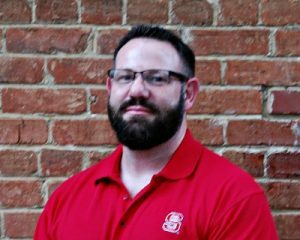 Chad says “It is an honor to know that there are other educators out there who see the promise I do in not only eastern North Carolina, but education as a whole.” Chad taught middle grades science and social studies at Nash Central Middle School in Nashville. He was a Principal Resident at Middlesex Elementary School in the 2017-2018 school year. Chad is currently serving as a Science Teacher at Parker Middle School. Leigh Ann earned a Bachelors of Arts degree in Biology from Barton College. She was a Kenan Fellow during 2015-2016. She attended Coach University, NC New Schools Breakthrough Learning, and NCSU Science House Modeling Workshops for Physics and Biology. Leigh Ann taught science at Riverside High School in Williamston. She was a Principal Resident at Rodgers Elementary School during the 2017-2018 school year. Leigh Ann continues to serve at Rodgers Elementary, where she moved into the role of Assistant Principal in 2018. 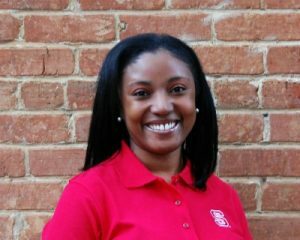 Tekeyla earned an undergraduate degree in psychology from Shaw University and a Master of Science degree in Counselor Education from East Carolina University. 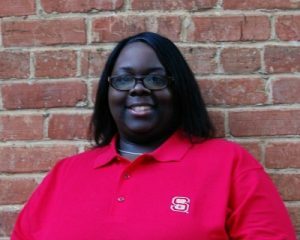 She began her career in education as a middle school social studies teacher in Nash-Rocky Mount. She is also a Licensed Professional Counselor Associate (LPCA) with the state of NC and worked part-time at a children’s mental health hospital as a therapist. 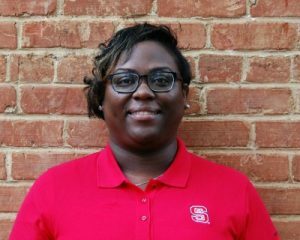 Tekeyla was a School Counselor at Northern Nash High School in Rocky Mount where she also served on the Multi-Tiered Systems of Support Team and the Behavior and Academic Intervention Team (BAIT). She completed her Principal Residency at Northern Nash High School, where she is now serving as Assistant Principal. Candice earned an undergraduate degree in Criminology from NC State University. She participated on the Achievement Team for Franklin County training by Steve Ventura. In 2015, she was selected as Teacher of the Year. She taught eighth grade science at Terrell Lane Middle School in Louisburg. She completed the NELA Principal Residency at Franklinton Middle School. Candice is now serving as Assistant Principal at Terrell Lane Middle School. Leo earned an undergraduate degree in music education from East Carolina University. 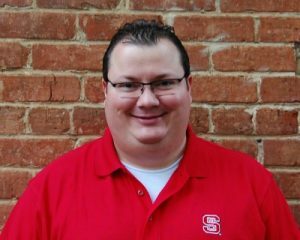 He was recognized as the 2012-2013 Nash Central High School Teacher of the Year, the 2015 All District Guest Conductor/Clinician, the 2016 East Region Jazz Ensemble B Guest Conductor/Clinician, and the Guest Conductor/Clinician for several All-County Bands. He participated as the Critical Friends Group Coach for the National School Reform Faculty. Leo was the Director of Bands (Marching Band, Wind Ensemble, Concert Band, and Jazz Band) at Nash Central High School in Rocky Mount. He was at Winstead Avenue Elementary School during his Principal Residency. Leo is now serving as Assistant Principal at Benvenue Elementary School. Danisha earned an undergraduate degree in Elementary Education with a concentration in mathematics from Elizabeth City State University. 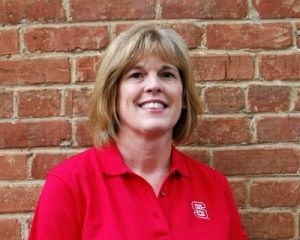 She received the Model Classroom award and has been recognized as Teacher of the Year. Danisha taught math at Washington County Union Middle School in Roper. She was a Principal Resident at Washington County Early College High School. Danisha is now serving as Assistant Principal at Washington County High School. Amy earned an undergraduate degree in Early Childhood Education, kindergarten through sixth grade, from Barton College. She participated in Mentor training, Cooperative Teacher training through Barton and ECU, Engineering Place at NCSU Summer Camp program training, and Gifted Education add-on certification. She was Teacher of the Year at her school in 1993, 1998 and 2002. She earned National Board Certification in 2011. She was the AIG facilitator at Spring Hope Elementary School in Spring Hope. Amy completed her Principal Residency at Nashville Elementary School, where she is now serving as Instructional Coach. Patrick earned an undergraduate degree in secondary education, with a concentration in History (5-12), and American History, with a concentration in 20th Century Terrorism. He also earned a Master of Education in K-12 Literacy. He was recognized as the Roanoke Rapids Graded School District Teacher of the Year for the 2014-2015 school year. He was also a Gilder Lehrman Teacher seminar participant and completed the National Dropout Prevention Council training. 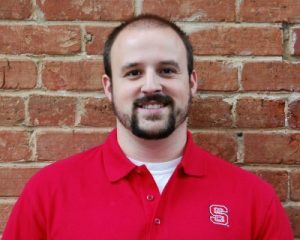 Patrick taught seventh grade social studies at Chaloner Middle School in Roanoke Rapids. He was an Assistant Principal at Belmont Elementary School during his Principal Residency year. This school year, Patrick is serving as Assistant Principal at Roanoke Rapids High School. DeNeasha earned a Bachelor of Science degree in biology with a minor in chemistry from North Carolina Wesleyan College. She was the Tarboro High School Yearbook Dedication recipient in 2013. 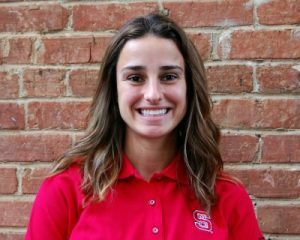 She attended the AP Institute at NC State University for Advanced Placement Certification, NASA Tools Professional Development Institute, Pyramid Response to Intervention training, and Positive Behavior Intervention and Support training. She served as an advanced placement biology teacher and science department chair at Tarboro High School before transferring to Martin Millennium Academy in 2015. She served on the school improvement team for four years at Tarboro High School. She was also a PBIS member and co-facilitator of PBIS staff trainings. DeNeasha taught sixth grade science at Martin Millennium Academy in Tarboro. During her Principal Residency year, she was at Stocks Elementary School. DeNeasha is currently serving as a Science Multiclassroom Leader at Tarboro High School. Jasmine earned a Bachelor of Science degree in family social science from the University of Minnesota and was a Teach for America Participant. She was the 3-5 Math representative for her iTransformers district team and the PLC facilitator for Teach for America. Jasmine also attended NCTIES training. She taught third grade at Nashville Elementary School. She completed the NELA Principal Residency at Edwards Middle School. She served at the district’s Summer Reading Academy at Baskerville Elementary School in Summer 2018. 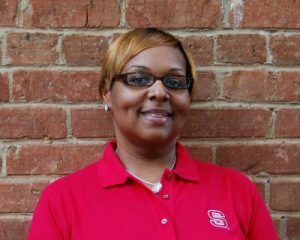 Currently, Jasmine is an Assistant Principal at Nash Central Middle School. Laura earned an undergraduate degree in secondary mathematics education from NC State. She was recognized as Franklin County Schools Secondary Mathematics Educator of the Year in the 2014-2015 school year. 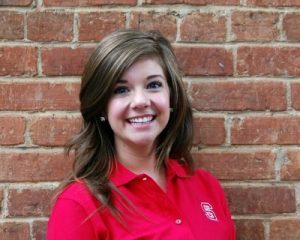 She participated in the North Carolina Governor’s Teacher Network and Aspired (NCSU’s ACT Prep-Class Training). Laura was the math department chair. 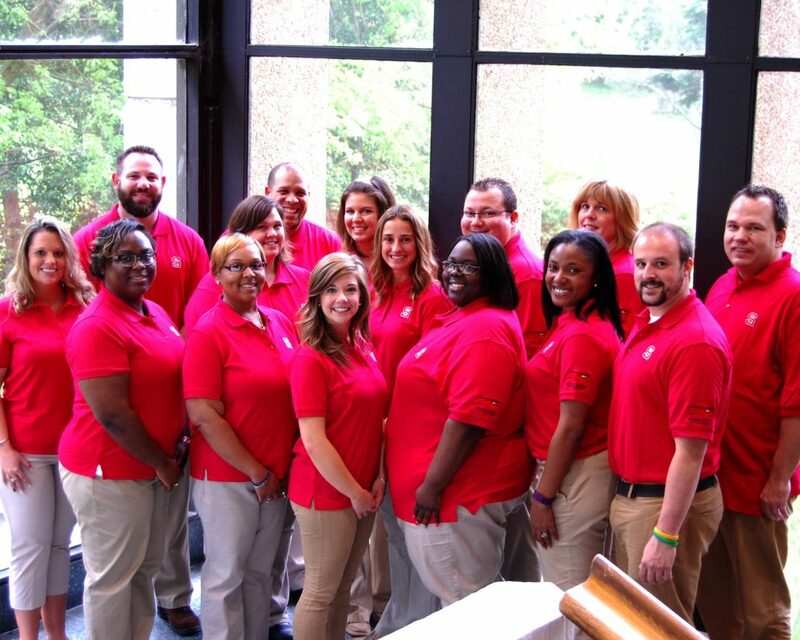 She also served on the school leadership team, school improvement team, and the school professional development team. She was a teacher mentor, student government sponsor, varsity cheerleading coach, and competition team cheerleading coach. Laura taught 9-12 grade mathematics at Franklinton High School. She was a Principal Resident at Bunn High School during the 2017 to 2018 school year, where she is currently serving as Assistant Principal.